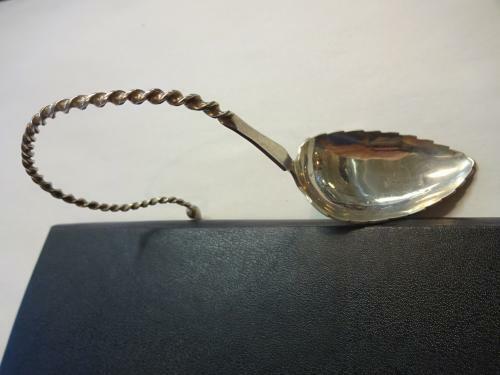 Good Quality Marius Hammer Solid Silver Twist Spoon c1900. Well Known & Collectable Norwegian Maker. Measures 13.5cms long, 7.5cms high curve & 3.25cms spoon diameter.